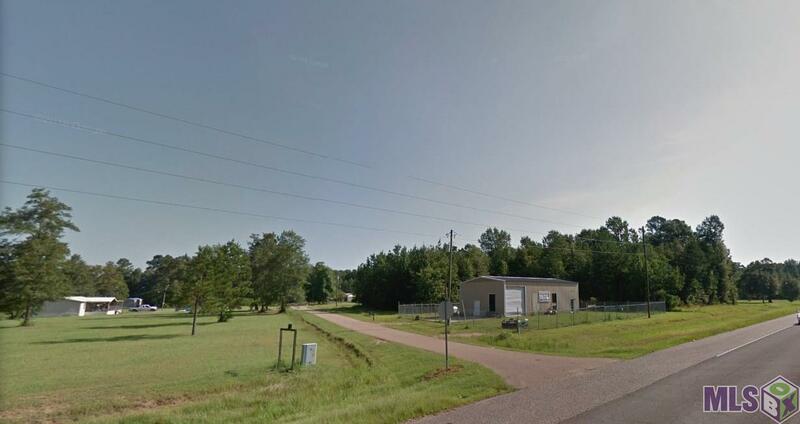 PRIME 0.50 ACRE CORNER LOT LOCATED ON LA-16 AND VETERANS BLVD IN ST HELENA PARISH. THERE IS A 30x60 GALVANIZED STEEL BUILDING LOCATED ON THE FENCED IN LOT THAT HAD BEEN PREVIOUSLY USE AS A AC/HEATING SHOP. BEAMS THROUGHOUT AS WELL AS INSULATED AND ONE BATHROOM. PERFECT FOR SOMEONE NEEDING SPACE FOR ADDITIONAL STORAGE, OR FOR THE ENTREPRENEUR LOOKING TO GET A PLACE OF THEIR OWN FOR A REASONABLE PRICE. CALL TO SEE IT TODAY BEFORE IT IS GONE.